You can see that when the earth is cold, it don't snow much and Snow Accumulation is very low. You can see that when the earth is warm, it snows more and Snow Accumulation is much higher. NOAA's data does show this. 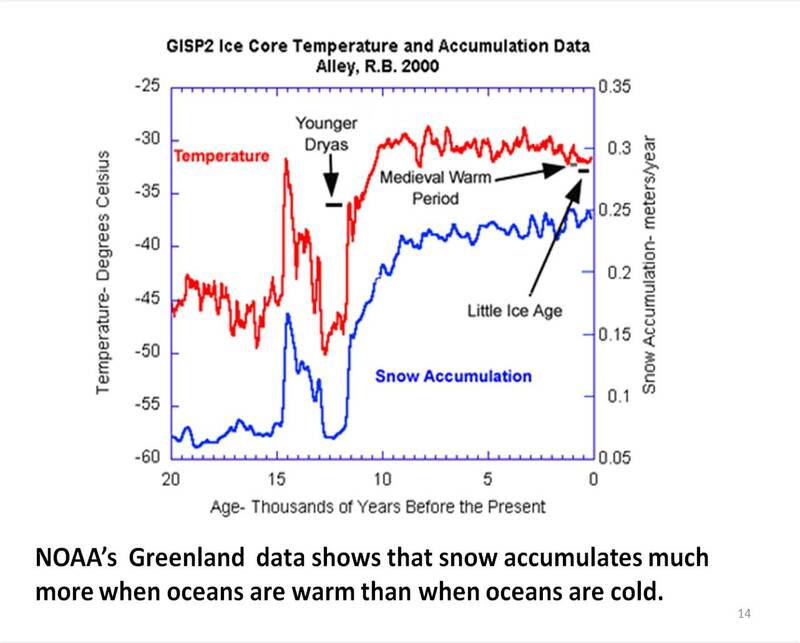 NOAA's climate theory and models do it different. They increase ice volume during the very cold periods of the ice age when it is not snowing much. They decrease all the ice volume while the earth is warming rapidly. Infrared Radiation from the Greenhouse Gas, Water Vapor, does most of the cooling of Earth, with a Trace of help from from CO2, but Albedo is used to do the fine tuning and the very tight bounding of temperature.